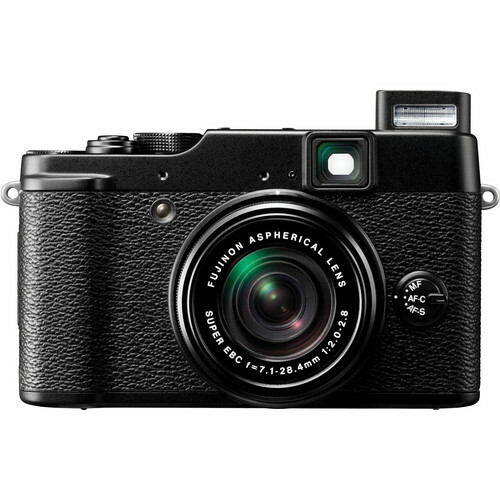 The Fujifilm X10 is a Compact Point & Shoot digital camera from Fujifilm. It has a smaller 1/2.3” sensor and a fixed 28-112 (in 35mm format equivalent) lens. The X10 is powered by a 12 megapixels 1/2.3” EXR CMOS sensor. For a small sensor of this size, there are always going to be issues about its low light performance. 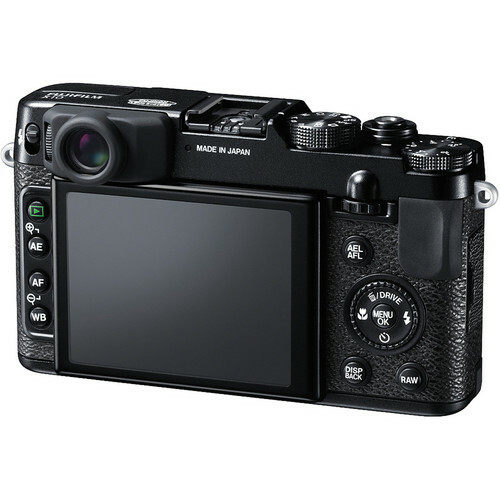 The X10 has a small tunnel-type optical viewfinder with no graticule superimposed LCD. Those who have tested the X100 will immediately put the X10 down if the comparison is only on the basis of the viewfinder. In fact so disappointing the 85% coverage of this small tunnel is that it can be a big negative point if you were genuinely interested in buying it. Additionally the X10 also has a fixed 2.8” LCD screen which boasts a 460,000 dots resolution display. Nothing out of the ordinary if you compare the more standard 3” LCD monitors with 920,000 dots resolution that are abound these days. 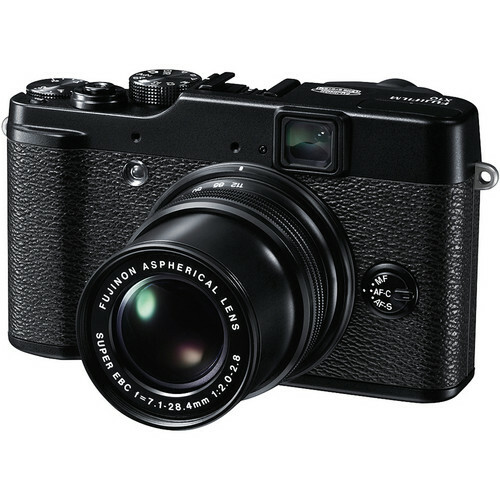 The X10 has a built-in Fujinon Aspherical lens with 7.1-28.4mm (28-112mm on a 35mm format equivalent) focal length range (optical zoom of 4x). The lens has a wide f/2 maximum aperture and stops down to f/2.8 when fully zoomed in. 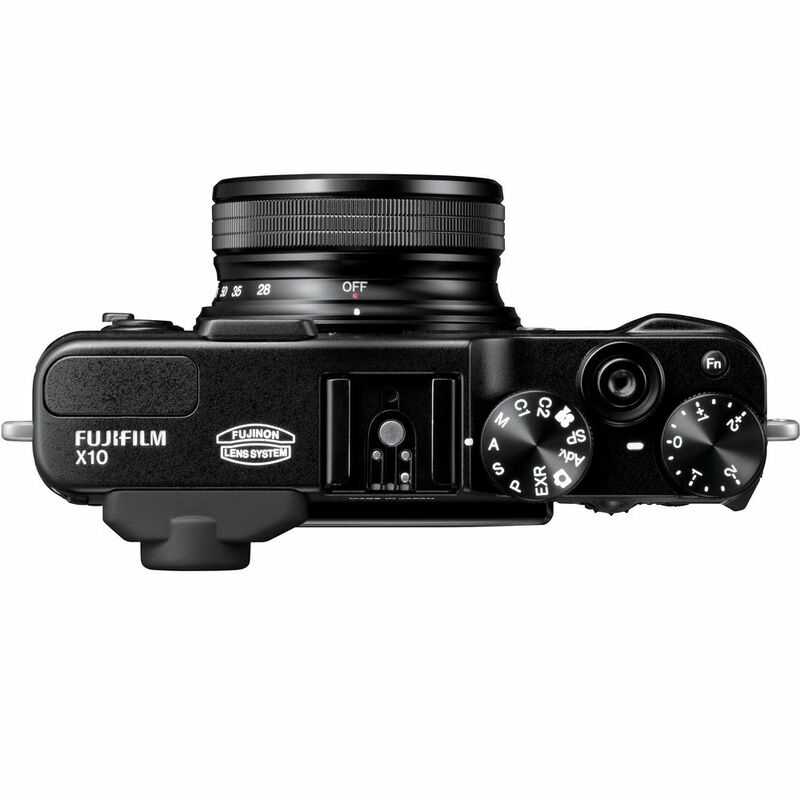 The X10 lens comes with Fuji’s optical image stabilization technology for steadier shots when hand-held. 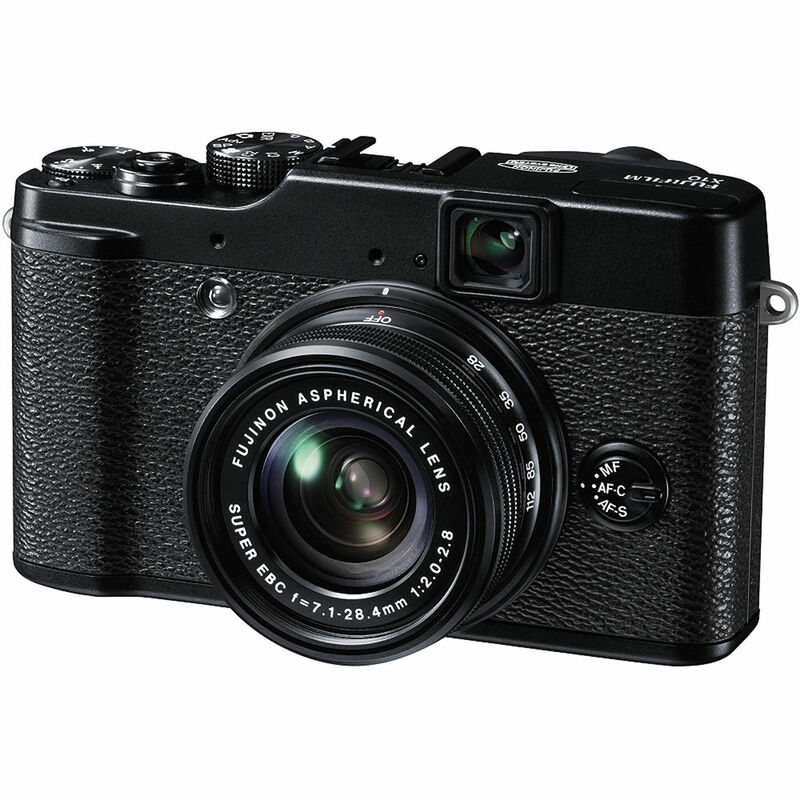 The X10 has a continuous shooting speed of 10 fps. The X10 shoots large JPEGs at 4000 x 3000 pixels. It can also shoot RAW (RAF formats). It also shoots full HD videos in 30 fps. Movie format is encoded in H.264 while stereo sound is recorded using the built-in mic. The X10 is certainly a fun camera to shoot with. As we will see time and again, it is not what one would normally associate with a serious photographer, but one with a snap-happy enthusiast. It comes with 8 film simulation modes including Velvia, Monochrome +R, Monochrome +G, Astia, Monochrome +Y, Sepia, B & W and Standard. One can really show a lot of creativity while shooting and also during post production (as these filters are available in in-camera post-production as well). The X10 is compliant with SD/SDHC/ SDXC memory cards. The normal ISO range of the camera is 100-3200. It can also shoot at up to 12800 when expanded. The X10 comes with a built-in flash which has a range of 9 meters. For those needing a bit more light than the pop-up flash a hot-shoe is available on the X10 for using an external flashgun. The very small and dark optical viewfinder is not exactly going to light too many fires when it comes to passionate admirers. Photographers looking for a genuine optical viewfinder will find the 85% coverage of this tunnel-type VF to be more than just disappointing. 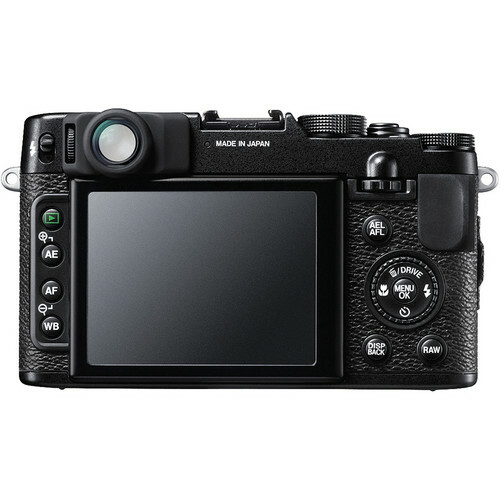 The X100 to which the X10 has been sometimes compared to is miles ahead with its bright hybrid viewfinder. 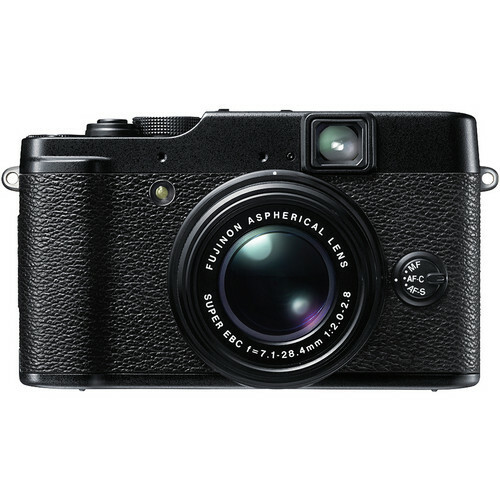 This is a major USP of the X100 and something that the X10 could have really done with. Additionally if you want to turn on the camera you will be surprised to notice that there is no power button! You will have to either rotate the zoom ring or press the play button in order to wake up the X10 from its slumber. The Canon PowerShot S110 is a good camera that one can look into. It has a similar 12.1 megapixels CMOS sensor, albeit a slightly bigger one at 1/1.7”, a slightly better zoom range at 24-120mm (5x) and the latest DIGIC 5 image processing system which is better in terms of noise reduction. Apart from the slightly bigger sensor there is an on-chip noise cancellation system as well plus the presence of microlenses over the sensor area that assists in the overall amount of light gathered by the camera. Needless to say more light means better picture. Retailing at $600 this is certainly a pricy compact. 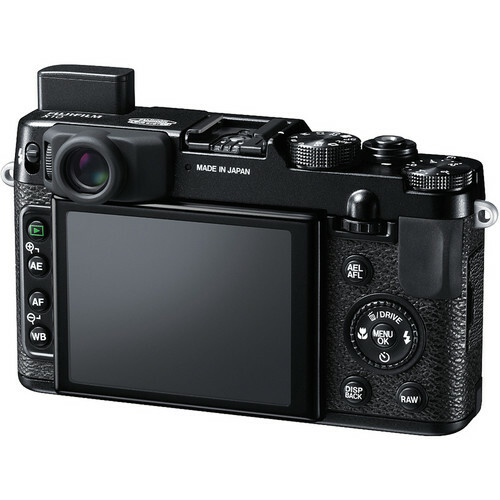 It does not have many of the benefits that the more illustrious X100 has and as such comparisons between the two may sometime appear futile. If you have the budget of $600 then certainly you can look into a few entry level DSLRs with bigger APS-C sensors with much better manual controls and definitely better image quality. 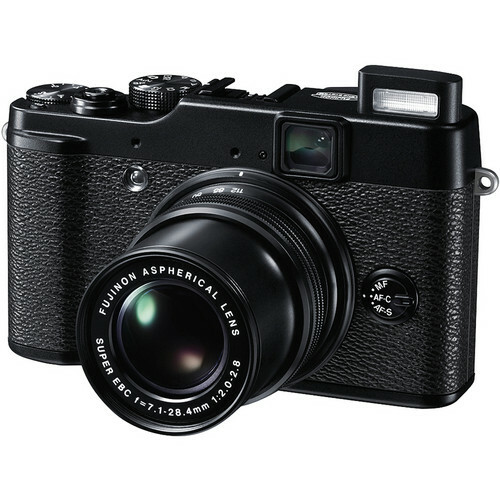 If not and you’re looking for a more compact model then definitely look at the X100 as a far better option. 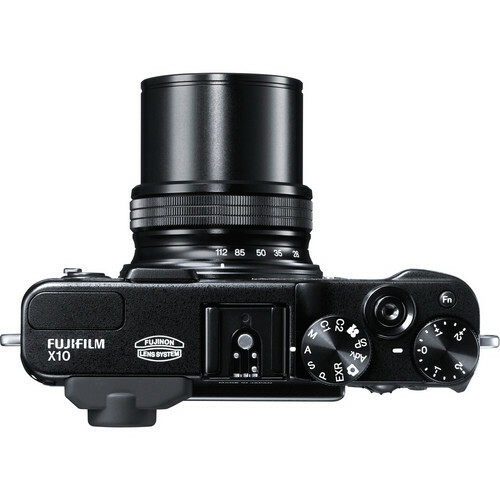 If one can spare a bit more than the Fujifilm XE-1 is one camera that should look into. Telephoto : Approx. 50 cm – 3.0 m / 1.6 ft. – 9.8 ft.
(Auto mode) 1/4 sec. to 1/4000* sec., (All other modes) 30 sec. to 1/4000* sec. *The frame rate varies depending on the shooting conditions or numbers of frames in continuous shooting. Wide : Approx. 30 cm – 7.0 m / 0.9 ft. – 22.9 ft.
Telephoto : Approx. 50 cm – 5.0 m / 1.6 ft. – 16.4 ft.
* After updating into the firmmware ver 2.00, menu of “Advanced filter” is added. 117.0(W) x 69.6(H) x 56.8(D) mm / 4.6(W) x 2.7(H) x 2.2(D) in. IS mode must be set except for the mode including “MOTION (detection)”.